Walk into Annie’s Paramount Steak House on any Saturday morning and you’re likely to feel as though you’ve entered a family kitchen, rather than a bustling 17th Street restaurant. By mid-morning, people begin crowding into tables, booths or filling up the seats along the bar as they recount the prior evening’s activities over coffee, eggs, and hash browns. Waiters sprint back and forth, taking orders and delivering food, ’90s-era pop music trickles from speakers over the din of customer chatter and the clink of cutlery and dishes, punctuated by occasional bursts of laughter from patrons reacting to witty one-liners doled out by longtime bartender Scott Paxton and veteran server Al Sekscienski. 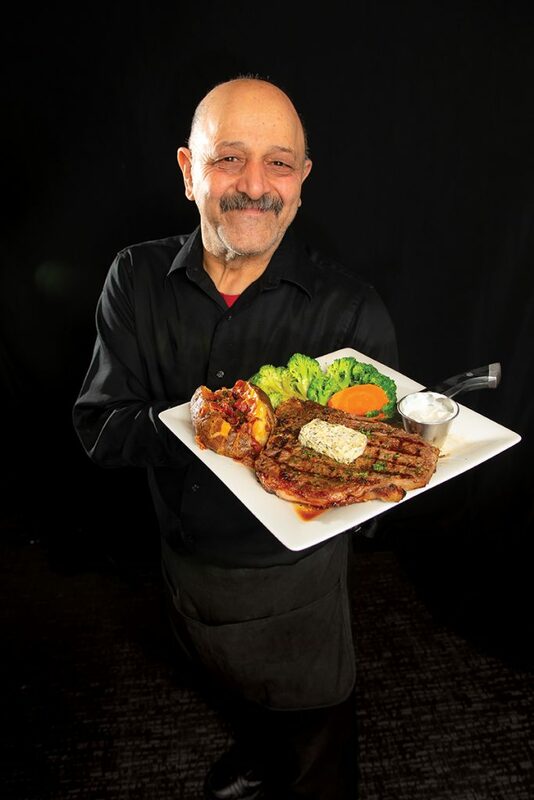 If Mano is on duty, and you’ve ordered steak to go along with your eggs over easy, he’s likely to commandeer your knife and fork and lovingly carve a few pieces to get you started. The overall atmosphere is relaxed and comfortable, the mood light and festive, as customers and staff alike smile, joke, and banter. Recently named by the James Beard Foundation as one of its 2019 America’s Classic award winners, the steakhouse and “comfort food” restaurant has long been a fixture in the Dupont Circle neighborhood — and particularly in the LGBTQ community, whose members started patronizing Annie’s in its earliest years. Its patrons are fervently loyal. Loyalty, however, goes both ways. 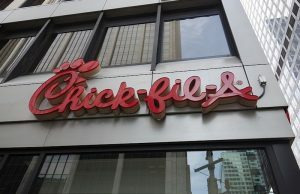 The restaurant has consistently given back to the community, whether holding fundraisers for Whitman-Walker, donating money to the NAMES Project Foundation’s AIDS Memorial Quilt, sponsoring the Gay Men’s Chorus, or, donating to Food & Friends — the local nonprofit that delivers meals to people with life-threatening illnesses — through its popular, citywide fundraiser, Dining Out for Life. Annie’s has been participating in the event since its inception in 1997. As part of this year’s Dining Out for Life, next Thursday, April 4, Annie’s will continue a longstanding tradition of donating 100% of that evening’s dinner receipts to Food & Friends. For owner Paul Katinas, it’s yet another way for Annie’s to support LGBTQ people, who comprise a significant portion of Food & Friends’ client base. The night of Dining Out for Life is always busy, and the restaurant is typically crammed to capacity, with lines winding out the door and along the sidewalk. Paxton enthusiastically welcomes the throngs. 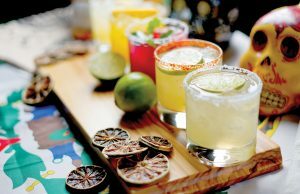 And those new faces sit alongside mainstays that return to Annie’s week after week, even as the Dupont Circle neighborhood around the restaurant has begun to evolve, and what was once known as the “gayborhood” has experienced an influx of young, upwardly mobile professionals. Katinas believes that being named one of “America’s Classics” by the James Beard Foundation has sparked renewed interest in the restaurant, particularly amongst the area’s Millennial “foodies.” He feels that younger LGBTQ patrons, once they dig into Annie’s savory and tender Queen Cut Prime Rib or signature, sizzling Bull in the Pan or perfectly grilled New York Strip, will quickly become regulars. When it comes to the menu offerings, Katinas is happy to stick with traditional, tried-and-true dishes that are wholesome and filling, rather than attempting avant-garde or exotic fare like those seen on the latest trendy cooking shows. “The menu doesn’t change that often,” he says. “The staple is definitely the steaks. The chicken has picked up, especially as of late. There’s some seafood here and there. A strong enough variety where people have choices. Lots of salads and things that people enjoy, sandwiches. The portions, in my opinion, are good and people won’t go away hungry. I think that’s important as far as comfort food goes. There are few places in town where you can get more satisfying appetizers to share — Jalapeno Poppers and fried calamari immediately spring to mind. Or a variety of steak, seafood, and poultry that never wavers in quality, or in the reliability of its preparation. And, oh, those Annie’s cocktails — generously sized and flawlessly mixed. The Spicy Bloody Mary, rimmed with a thick coating of Old Bay Seasoning is, in particular, the epitome of the perfect “anytime” drink. Annie’s is also renowned for its service. Even when the restaurant is operating at capacity, the staff virtually dotes on you. They make you feel like you’re the most important person there. They make you feel at home. For Katinas, Annie’s is a family business. 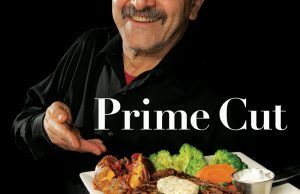 It was started by his father, and has employed an estimated 50 extended family members over the span of seven decades — including, most notably, his aunt, Annie Kaylor, the restaurant’s flamboyant and friendly namesake, who passed away in 2013. 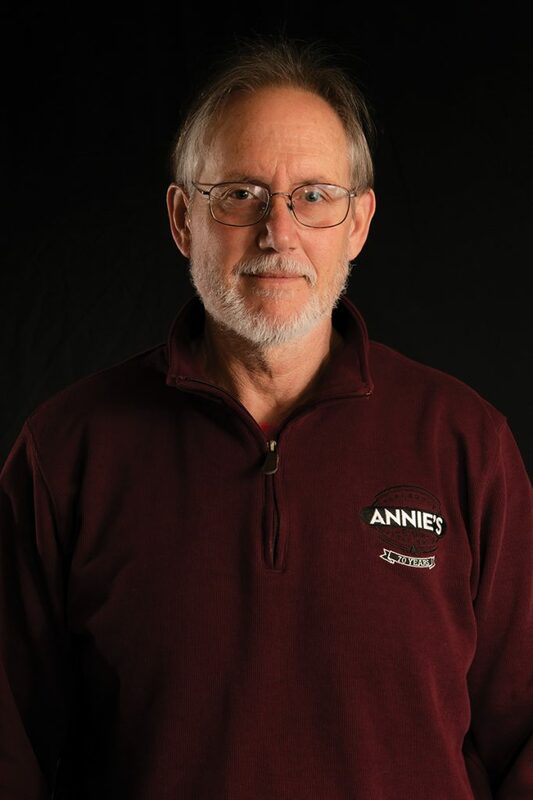 Beyond Katinas’ own family, Annie’s has also employed relatives of employees for many years, and — perhaps most importantly — has managed to retain employees for decades in an industry notorious for high staff turnover. 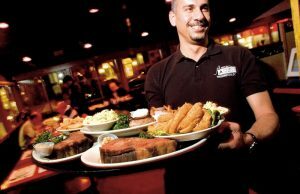 Of course, some of the restaurant’s employees with larger-than-life personalities continue to carry on the tradition, started by the original Annie, of making their dining experience at the restaurant as entertaining as possible. “I’ve had people dancing on the tables, showing me body parts I didn’t want to see,” says Al Sekscienski, who has worked at Annie’s since late 2000. “But that’s kind of normal for here. 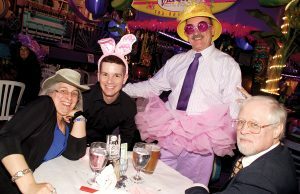 Food & Friends’ annual Dining Out for Life is next Thursday evening, April 4. 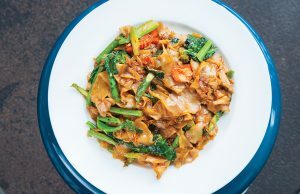 For a list of local participating restaurants, see our Guide to Dining Out for Life on page 37 or visit www.foodandfriends.org. Annie’s Paramount Steak House is located at 1609 17th Street NW. For more information, call 202-232-0395 or visit www.anniesparamountdc.com.